I never thought I’d say this, but I’m beginning to miss the huge off-licence chains we had in the UK 10 years ago. Not that their ranges were that interesting, but I’m coming to realise they had a higher purpose. These thousands of wine shops across the land made wine noticeable. It implied that wine was important and worth exploring. This was backed up by a greater number of decent wine columns in national newspapers. There’s plenty of information online if you search, but offline it feels like wine is becoming less and less visible. Fortunately there are some wine lovers out there at grass roots level giving a hand up to the next generation. Compared to beer and spirits, the wine industry has never been very good at reaching out to new drinkers. There are a number of reasons. It’s a complex topic to communicate to beginners, and it seems like many in the wine trade naively believe people will simply fall into it naturally, like gardening or Radio 4. The main issue, however, is the fragmented nature of production coupled with low margins. It’s not easy or affordable for so many small estates to reach out to new people in multiple foreign markets. But if they don’t succeed in connecting with new customers over here, the UK market will gradually become less vibrant, less varied and less interesting for all of us. There are some companies successfully reaching out to new drinkers. E&J Gallo’s Apothic brand includes a sweeter style of red (16 g/l residual sugar) that has been hugely popular in the US and is energetically marketed to a younger audience. On a more holistic level, Naked Wines have a very inclusive approach to their business, connecting winemakers and consumers directly via social media, meaning blends can be tweaked according to customer feedback. Whether you like their wines or not, they are both doing more than most to get new drinkers into wine, and I respect them for that. Wines created to please a specific market however often make me think of manufactured boy bands as opposed to genuine musicians. Personally speaking, the wines that have brought me a higher level of pleasure have been those that challenge; wines whose taste takes time to appreciate, rather than wines that have bent over backwards to appeal to me. Handmade wines with integrity, a sense of place and a story to tell; craft wines, in other words. It’s hard to imagine a marketing department coming up with anything to rival Manzanilla, Barolo or Savennières any time soon. A new crop of bars is also helping introduce a younger crowd to proper wines. Sager + Wilde and Verden are spearheading the trend for modern bars in fashionable neighbourhoods that incorporate fresh design, craft wines and a cash margin pricing structure that makes top names easier to access. Michael Sager-Wilde describes his customers as largely a younger gathering that’s “very, very curious, adventurous, they want to try stuff… and they all drink wine.” Their average spend is £9.20 a glass and £58 a bottle. “I think there’s going to be lots more wine bars,” he says, “maybe we’re going to see something with wine like the cocktail explosion – maybe.” I hope he’s right. 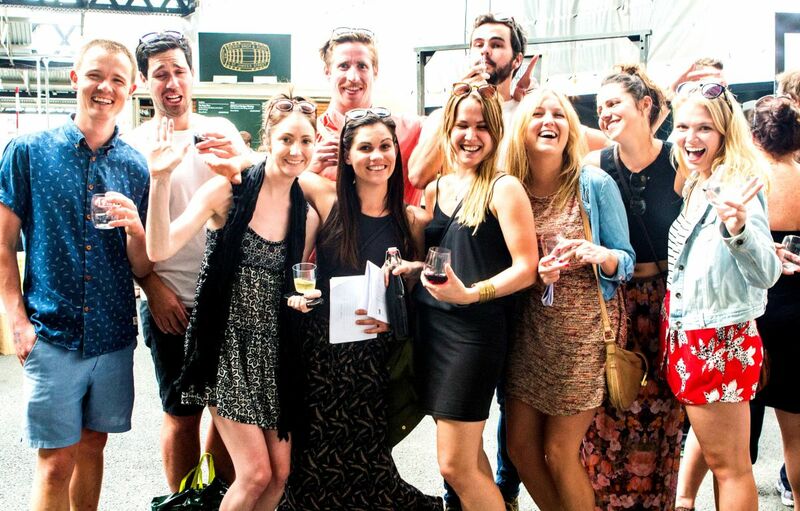 These aren’t the only people proactively reaching out to the next generation of wine drinkers of course. Shops like Noble Fine Liquor and The Sampler have a youthful approach, as do events like Cambalache and fanzines like Noble Rot, not to mention wine blogs like Miss Bouquet and Wine Woman Song. But as an industry it still feels like these are distinctly in the minority. Much of this activity is done primarily for the love rather than the money. As winelovers, it’s vital that we support the events, the crowdfunding campaigns and the pop-ups, even if just by spreading the word through social media. These are the incubators of the future wine scene that we will all be a part of. What we’re drinking in another 10 years’ time may depend on it.